Welcome to a unique Bio-Energy Healing School that teaches the beginner up to the professional energy cultivation. We’ll teach you how to harness your body’s Bio-Energy to extremely High Levels to become an Advanced Chi Healer with Unique Abilities in Energy Healing. 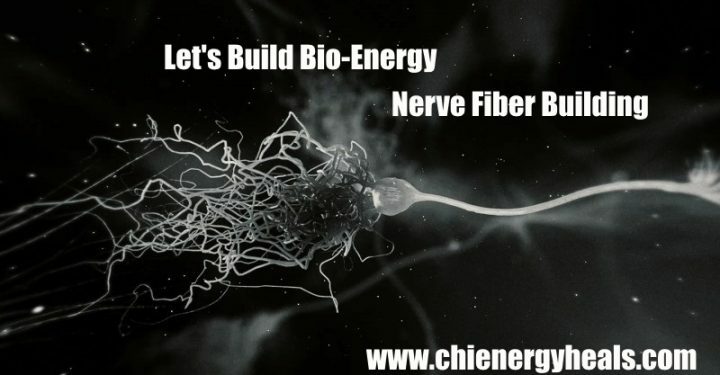 Our students learn how to cultivate bio-energy by building up their entire nerve fiber system to guide a good feeling and cool energy into a powerful tangible form. These energy forms are used by the student to change their body’s inner temperature and emotional content. This ability to control their internal temperature prepares the student to handle more energy in order to reach the higher levels in cultivating chi. Students are instructed online how to build up or cultivate Chi Energy to high levels in a step by step way through their entire body’s nerve fiber system. This type of energy buildup helps to enlarge and elongate the body’s nerve fibers naturally, which allow the student to project much more biophotons then normal. As they perform their first Energy Flow Pattern, called the Nerve Fiber Building exercise, they’ll find this process releases a type of light called biophotons. This light when ‘cooled down’ and formed correctly with the right attributes can be molded into a Powerful Dense Form of Bio-Energy. In each year of training, students will learn how to buildup and mold these biophotons into more advanced healing forms of energy that develop into unique abilities and healing techniques.